"CARRIED OUT A DIFFICULT JOB VERY EFFICIENTLY"
"The Electrician Turned Up On Time And Stayed Until The Problem Was Solved. Also Checked System For Safety"
"Very Polite And Courteous. Very Knowledgable And Throughly Checked Everything Once Completed The Work." "Everything! Replied Quickly To Original Request, Was Here Within An Hour, Did A Great Job And Was Very Helpful." 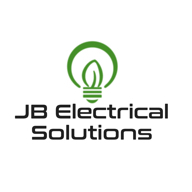 Need a Electrician in Norwich?